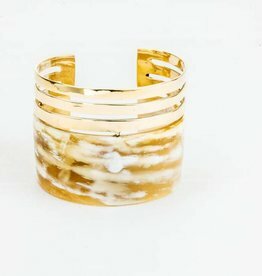 Make a statement with the bold Ankole Cattle Horn Cuff featuring a brass cut out accent. 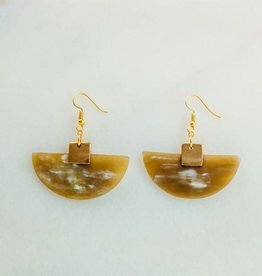 Keep in mind that because these are all natural pieces, no pair will be alike. 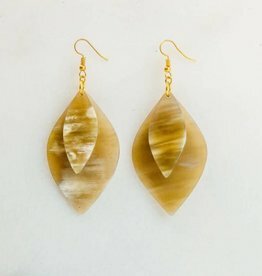 Hand-crafted out of upcycled Ankole cattle horn and brass, these unique earrings add a modern finish to any ensemble. 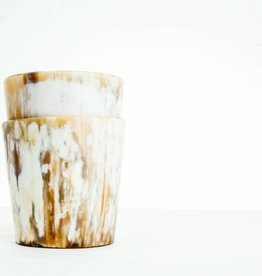 (SET OF 2) These Ankole cocktail tumblers make a unique and beautiful addition to any bar set. 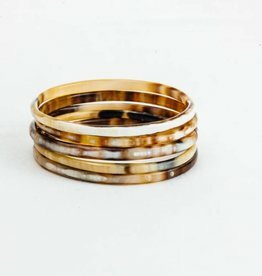 Stack them up or mix & match, the Ankole horn bangle set is the perfect addition to any outfit. Keep in mind that because they are all natural no pair will be alike.